Made up of harpist Cath Connelly, violinist Greg Hunt, and pianist Jules Vines, Liminality''s music is described as deeply grounded in the Celtic and European traditions. Attendees can relax and unwind at an evening of ancient Celtic tunes performed by local group Liminality at the Tecoma Uniting Church. With special guests The Victorian Academy of Irish Dance and solo performers Hilary Green, Oscar Kempster and Molly Konrad, the night will feature plenty of Celtic classics and sonorous Christmas carols. 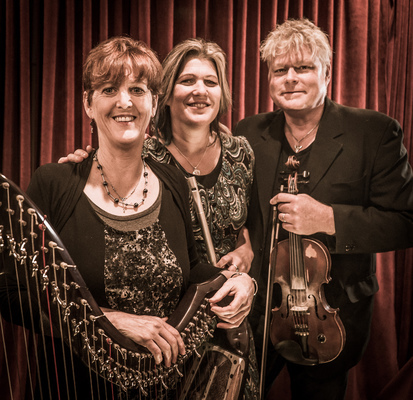 Made up of harpist Cath Connelly, violinist Greg Hunt, and pianist Jules Vines, Liminality’s music is described as deeply grounded in the Celtic and European traditions, and dwelling on the Celtic threshold. Vines said the group had been touring for more than 15 years but wanted to return to the Dandenongs for its second Celtic Christmas performance. Last year their show in Menzies Creek sold out within the first week so she urged people to book early. “It’s our way of giving back to the community, as we love performing in the Dandenongs and want to help people slow down and relax at Christmas,” Vines said. “We’ll play ancient Celctic tunes, and of course a variety of Christmas carols, and there will also be special guest including the Victorian Irish Dance Academy, and they’ll be performing some traditional Celtic dancing. The concert is made up of two 45-minute halves and Vines said Santa himself was expected to visit – being a fan of Celtic music. “It’s some pre-Christmas relaxation with some beautiful music, all in the spirit of Christmas,” she said. Tickets are $10 and supper is available for a gold-coin donation to the CFA. The performance will be held on 23 December at the Tecoma Uniting Church. Call 5968 3959 or email gone4milk@yahoo.com.au to book.